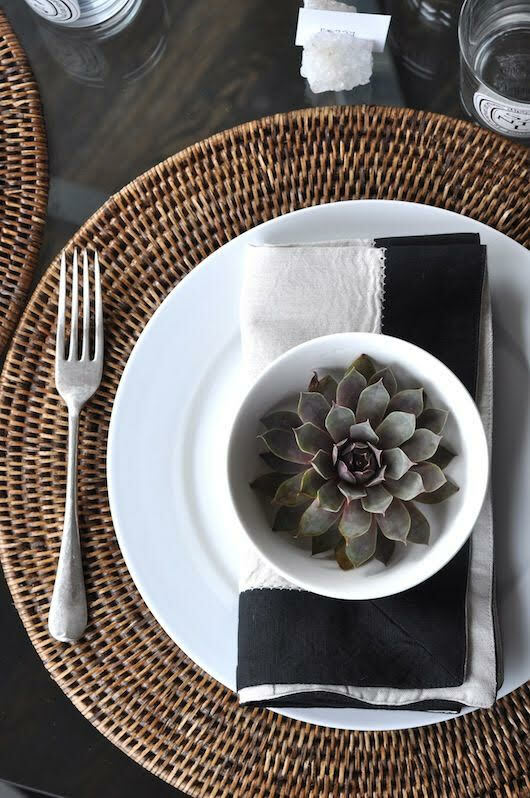 A question that I get asked often when it comes to shopping for the perfect tableware is “How do you create that overall finished look?” Some people believe that everything has to be from the same brand, others that it has to have a matching pattern. 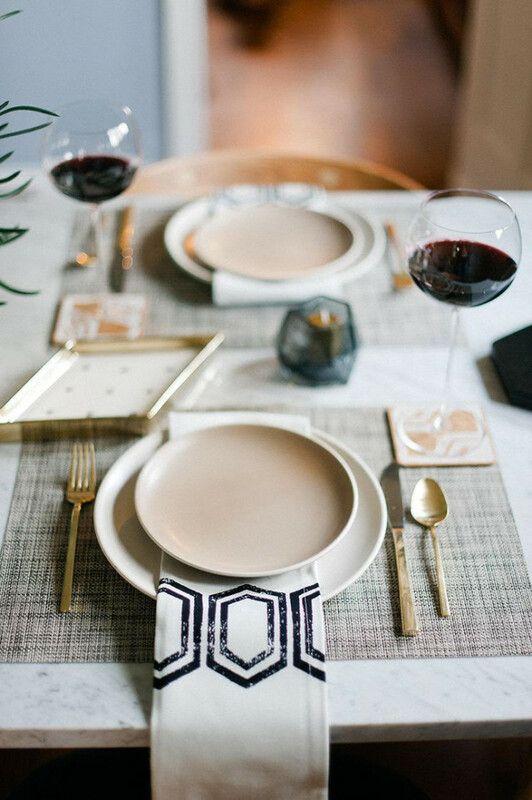 I want to share with you top ten tips that help me when shopping for tableware and what I believe makes the perfect table setting. 1. What will you be using it for? The most important question has to be the use of the tableware. 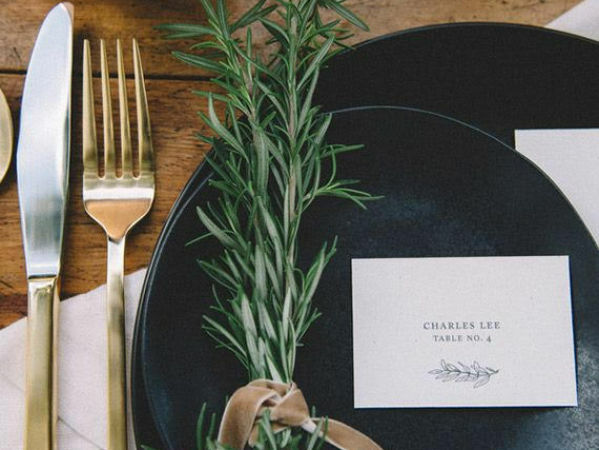 If you are using it for special occasions and events you may find that you want a slightly more extravagant design, adding trims of gold or silver or to have a prominent pattern. 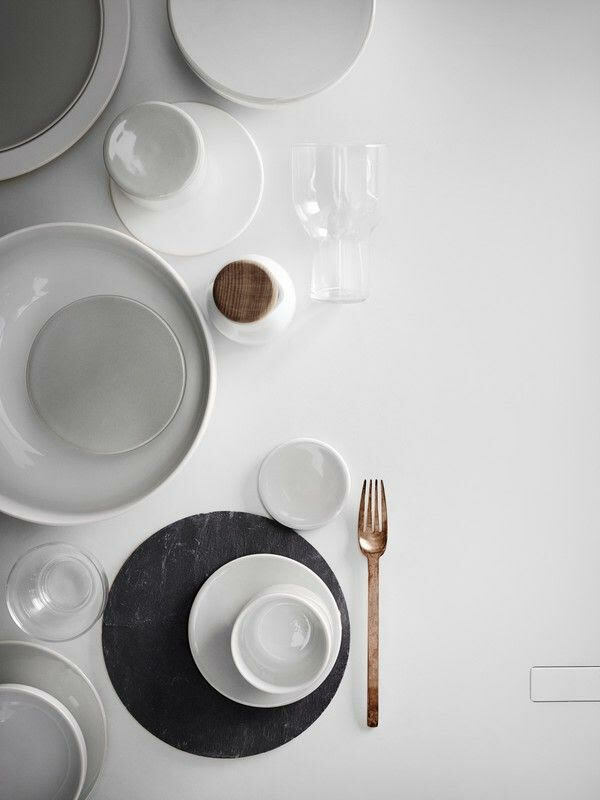 If the tableware is for everyday use then you may want to keep it simple, clean and clear so it can adapt to its uses. 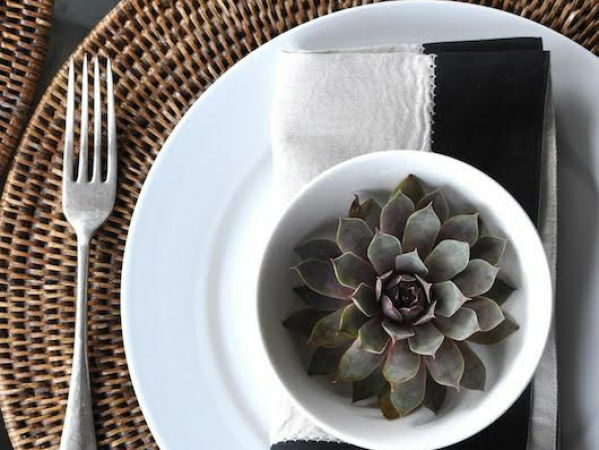 A big issue can be selecting a particular style of crockery, cutlery and tableware for a dining space. I know of situations where people have selected a style because they think it looks great and have then set out the table at home to find that the crockery it too large for the table. Always keep in mind the surroundings of your dining space. If you were lay a full table, will the everything fit? If you are looking for a long term table set then I would always recommend going for a classic tone such as white, black, grey or navy. Colours come in and out of fashion so quickly that it is better to invest in a set rather than changing it seasonally. White is always in fashion! 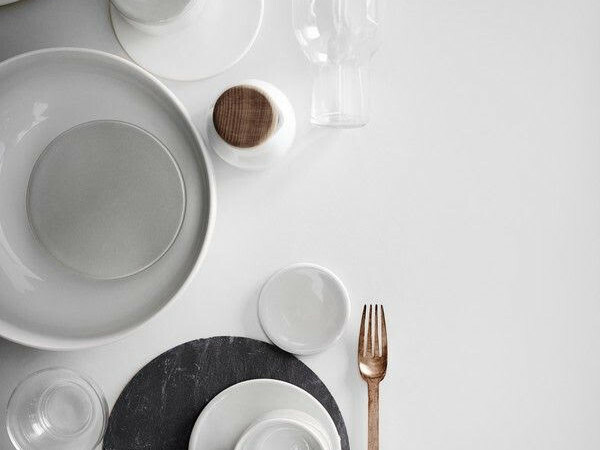 The biggest mistake that people make when purchasing white tableware (and I must admit, is a pet hate) is when a table setting uses multiple shades of white. My biggest piece of advice is to make sure that you are purchasing a set in only one shade of white. If you cannot find a full set, make sure the other pieces contrast. It is much better to purposely contrast than fail at colour matching. 6. 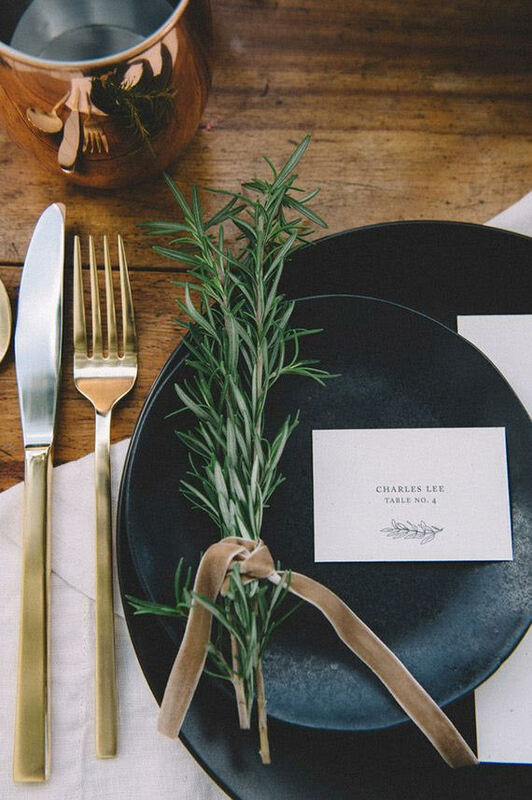 What is the centerpiece? 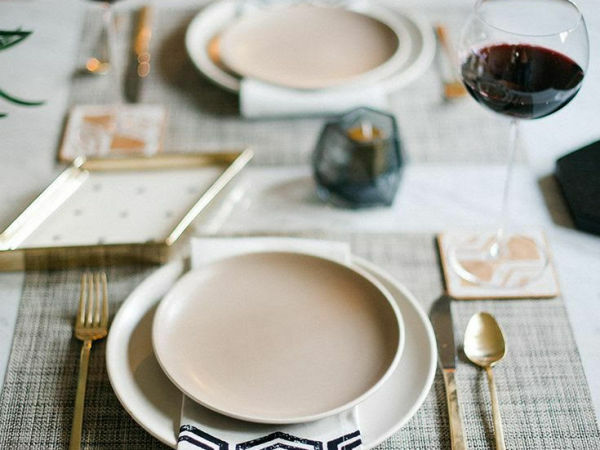 One of the easiest ways to dress a table and select the correct tableware is to know the centerpiece. It does not have to be a classic floral display, it could be a set of candles, a vase, sculpture or even the glassware or crockery set. There should always be a central focus to the table, something that has extravagance and beauty. That particular object(s) can then be used as the direction of design. 7. How many will I really need? 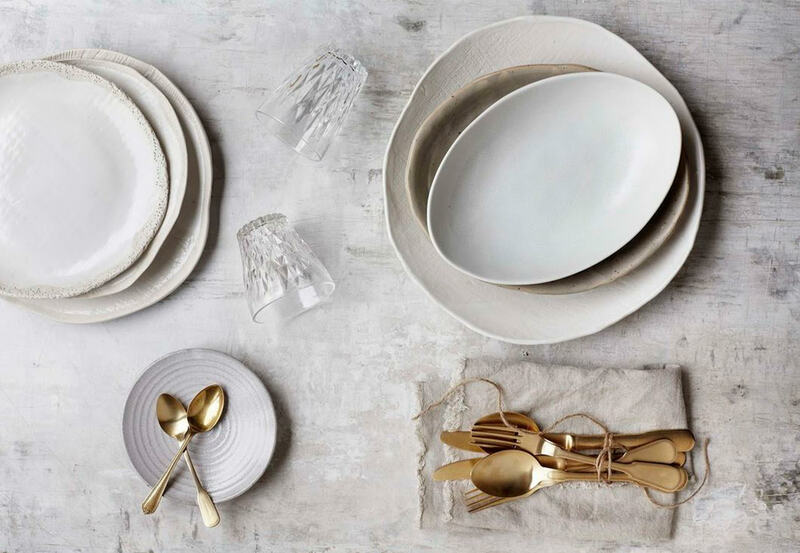 Crockery and cutlery should always be considered together, something that is harder to achieve that you think! It is best to keep one design simple and allow the other to become dominant. For example, if you love striking cutlery such as the beautiful copper designs that are widely available, keep your crockery a simple white or black to compliment the copper tones and cutlery design. It is far too easy to create a cutlery clash where each design is fighting for attention, creating an overpowering table setting. 9. What types will I need? My final piece of advice relates to condiments. If you are hosting a dinner party, you do not want to bring out bottles and jars onto the table. Brand names and half empty jars can be unsightly and clutter up a table. A must have for any table setting is a condiment set such as serving jars and pots, dipping bowls and salt and pepper shakers / grinders. You will be surprised just how much difference a beautiful set of condiments can make to a dinner party. An avid lover of all things opulent, Martyn White has experience and understanding in all aspects of the luxury sector. With an academic background and six years experience within design and interiors, his desire to inspire drove him to set up a website and blog with an aim to deliver the very best discoveries and deigns in luxury design.